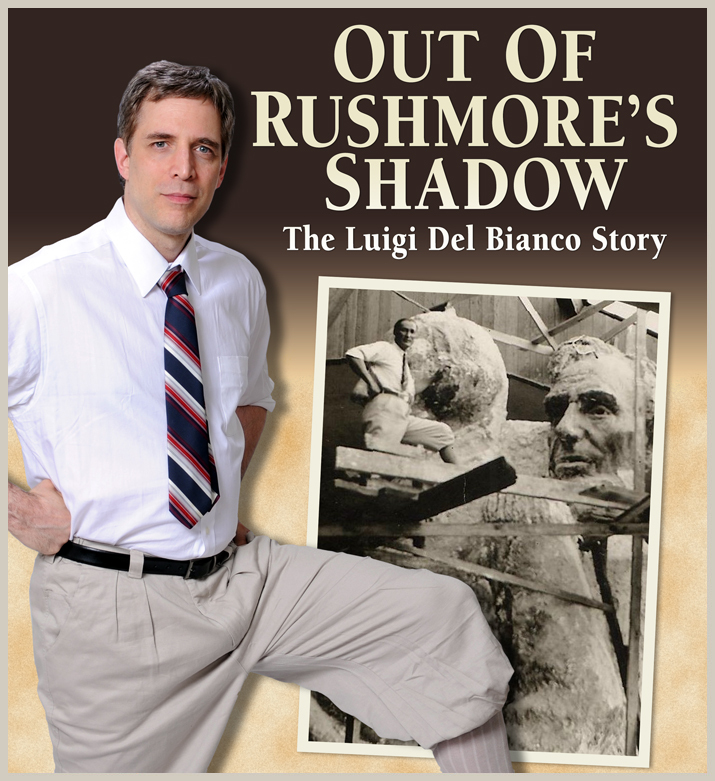 In this 45-minute special presentation for the entire family, storyteller Lou Del Bianco portrays his grandfather, Luigi Del Bianco, and talks about his unsung contribution as chief carver on our nation’s greatest memorial, Mount Rushmore. Lou uses authentic photos, timelines and primary source documents to bring Luigi’s story to life. The presentation culminates with designer Gutzon Borglum’s praise of Luigi, the 25 year struggle to get him recognized and the CBS SUNDAY MORNING tribute where a plaque at Mount Rushmore is finally unveiled! Now a published book authored by Lou, “Out of Rushmore’s Shadow” is a dramatic and touching story about Luigi’s legacy and the immigrant struggle. After 70 years, the “story in the stone” will now be shared for years to come! CHECK OUT MY LUIGI SHOW FOR CHILDREN! CHECK OUT MY OTHER ONE MAN SHOWS FOR ALL AGES!